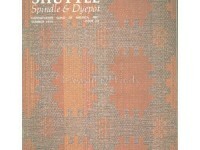 Shuttle Spindle & DyePot Magazine Back issue HANDWEAVERS GUILD OF AMERICA, INC.
We do not accept returns on Digital Goods. All Digital products are shipped via download after payment has been received. Hard Goods are shipped Via USPS in the States. USPS international for out of country after payment has been made. We offer many shipping options through USPS for US Customers to choose from. For our International shoppers we also offer USPS international shipping options. The choice is yours. Treasured is not responsible for lost or damaged shipments. We provide tracking for each package. We are not responsible for lost orders shipped to an incorrect address. If you provided us with an incorrect address, you assume all risk. If you want insurance you will need to ask for it and be charged for it. Except for our busiest period, orders are generally shipped within 3 to 5 business days of receiving your order. During our busiest period, it may take up to 9 business days to ship from the day you placed your order. The delivery time is based on the time it takes to process your order in the order it was received. Note: We live in rural USA and do not have mail pick up on weekends. Can I return an item I've purchased? If that rare occasion arises where you feel you must return an item, please contact us for return instructions, within three (3) days (by email) of receipt of your item(s) and give a very detailed description of the problem. We do not refund for purchases that are made for someone else as a gift or for any other reason, then they don't like or want the item. That would be a cancellation, please refer to our cancellation policy. Upon our receipt and inspection of the returned item(s), we will issue a full refund for your item(s) if returned in the same condition as it was when it was sent to you. We make every effort to describe in detail what the jewelry is and it flaws. With Antique and vintage jewelry there will be flaws that are appropriate to the age of the article. We do not refund based on the age of the jewelry. Please note the only exception to our return policy is that we cannot guarantee that the item purchased originally came from a smoke free environment. The items we sell are antique to collectible when most people that would have owned these items were smokers. We do not refund your purchase price for complaints of smoke. Buyer is responsible for return shipping/insurance costs, which will not be reimbursed. Returned merchandise must be received by us within seven (7) days of the date from which you contact us regarding the return. 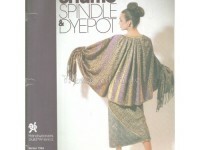 For order cancellation there is a $20.00 service charge per order. Please be sure that you want the item before you purchase it, or email me with any questions you might have before purchasing items. 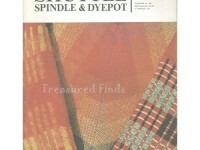 Please note: Your information is safe with us at Treasured Finds. We are a proud verified Paypal Merchant. We will not ever give, sell in any way your personal information Your important information is not ever stored on this website.